The accident scene. Still from a video by OSTROW24.TV. Hardly had the virtual ink dried on our post correcting our comment on the safety record of Polish railways when news came in of yet another collision! This time the collision occurred on Sunday morning around 04:32 at Ostrow Wielkopolski. 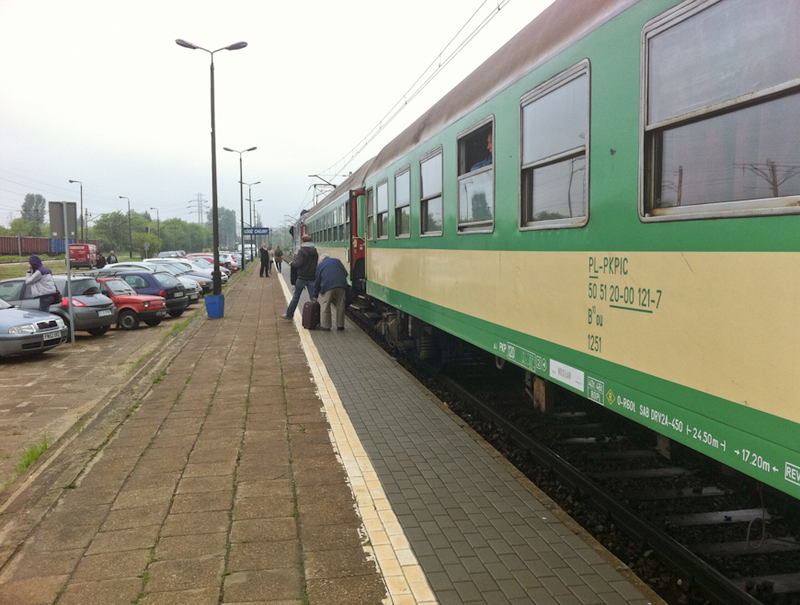 A freight train en route from Ilowo to Imbramowice hauled by an EU07 owned by PHU Lokomotiv ran into a PR Regio stopping passenger train waiting on track 10 by platform 3 for its scheduled departure to Wroclaw Glowny at 04:49. Four people were slightly injured. A commission has been set up to investigate question, Why did a freight train with two people in the cab run onto a track already occupied by a passenger train? Polish rail accidents NOT EU’s worst! The Szczekociny crash scene. From a photo by Wojciech Janaczek. Yesterday we were guilty of sloppy journalism. We reused a quote from The Warsaw Voice claiming that ‘According to the European Railway Agency, Poland has the most dangerous railroads in the EU’. Actually it is not true. Whilst Poland does have the highest number of railway accidents in the EU region, such figures should be normalised per total train kilometres run before performing any inter-country comparison. This was pointed out by one of BTWT’s readers, Mike, who sent us a detailed comment which we are republishing below. Our sincere apologies for repeating a highly misleading claim and our thanks to Mike for his incisive comment and analysis. I don’t think it’s entirely right to say “Poland’s railways have the worst safety record in the EU.” Certainly in 2010 Poland saw 449 rail accidents, compared to only 31 in Estonia. However, Estonia has only 900km of working rail compared to 20,000km in Poland, so it’s not really a fair comparison. I went to the PDF in the post and did some sums on the raw numbers. In terms of 2010 accidents per million train-km, Poland managed 2.05 compared to 3.44 in Estonia. Thus Estonia has more crashes per train-km than Poland. On the other hand, Germany only has 0.29 crashes per million train-km, so there’s a long way to go. Overall, Poland has the 7th highest number of crashes in the EU, according to the numbers in the report. For those who like charts, I have uploaded one here: Accidents per million train km. This is similar to the charts on pages 26 and 27 of the report which show Poland as being worse than EU average for rail safety, but certainly not the worst. If you don’t want to open the PDF, their summary sentence is “The results show acceptable railway safety performance in the six risk categories in all countries except Romania, Lithuania and Slovakia.”. The crash scene. Local PKP PLK director, Jan Telecki, describes the movements of the two trains immediately before the accident. Video by alfajet777. A head-on collision between two early morning commuter trains in Warsaw on Thursday morning (24 May) brought back memories of the head-on train collision near Szczekociny – Poland’s worst train crash in 22 years – which killed 16 people and wounded 57. This time, the relative velocity of the two trains was small and the lead coaches only suffered minor damage. Two people were injured; one sufficiently seriously to need hospital treatment. 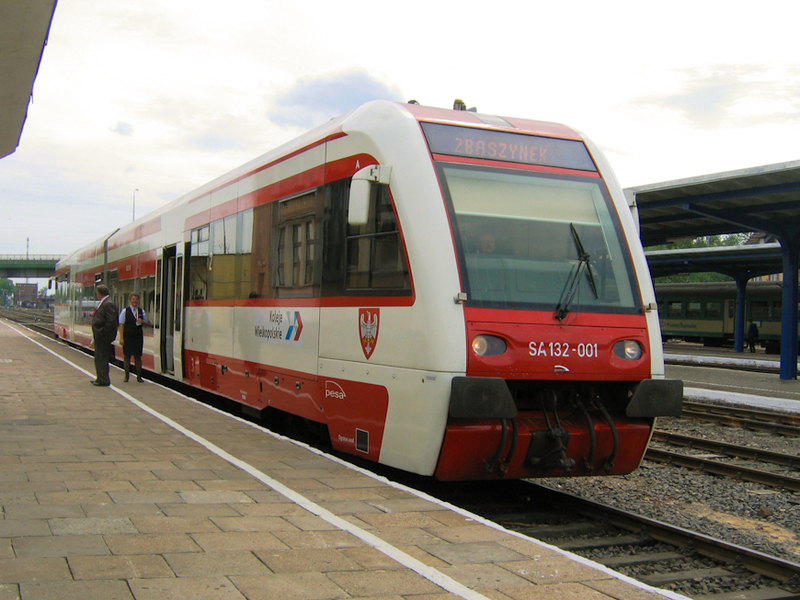 The accident occurred at 05:45 in the vicinity of Warszawa Praga station. 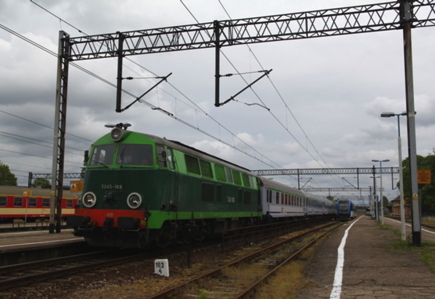 The trains involved were KM 1521 – an EN76 trainset belonging to Koleje Mazowieckie running from Warszawa Gdanska to Ciechanow, and SKW 40222 – a 19WE trainset belonging to Szybka Kolej Miejska running from Legionowo to Warszawa Gdanska. According to The Warsaw Voice, a report published by the European Railway Agency, shows that Poland’s railways have the worst safety record* in the EU. 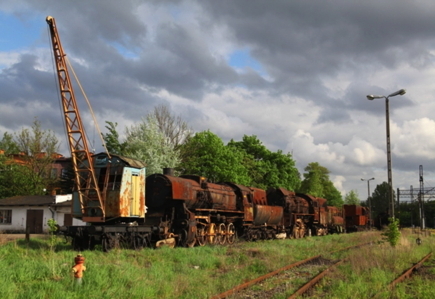 There were 449 rail accidents in Poland in 2010. Germany was second with 297 accidents followed by Romania with 271. Today the Urzad Transportu Kolejowego (UTK, Office of Railway Transport) announced* that Krzysztof Dyl has been appointed its chairman. Mr Dyl has been acting chairman of UTK since 5 January 2012, when his predecessor Krzysztof Jaroszynski was sacked on the orders of the Prime Minister. Mr Jaroszynski was sacked for ‘soliciting for EU funds behind the back of the responsible minister’ which somehow does not seem a very credible explanation. 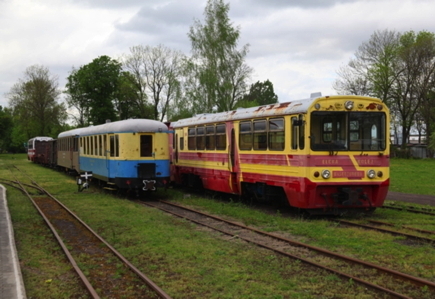 For three months, no moves were made to appoint a permanent replacement and then, on 3 March, two passenger trains collided head on at speed near Szczekociny. 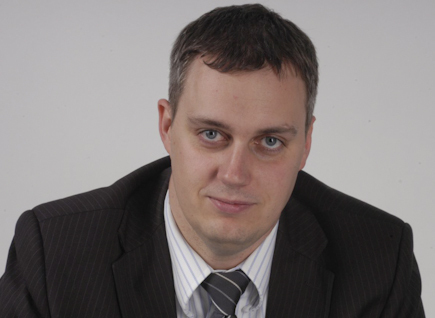 As opposition politicians stormed that the UTK had been made toothless by political sackings of its senior inspectorate, the new transport Minister, Slawomir Nowak, announced that a competition would be held to choose Jaroszynski’s successor. Now, three months later the result has been announced. Krzystof Dyl has an MA in electronics and telecommunications from the College of Technology and Agriculture (now University of Technology and Life Sciences) in Bydgoszcz. In 2000, he started work in the Ministry of Communications as principal specialist in the Department of Multimedia Policy and Regulation. He was one of the authors of ePolska, a programme for the development of the information society in Poland. He was also a member of a team working on a national strategy for the deployment of information and telecommunications technology. He was then recruited by an independent government office working on the demonopolisation and regulation of the Polish telecommunications market. In the period 2001-2002 He worked for the Office of Telecommunications Regulation, and subsequently, in the years from 2002 to 2006, in the Office of Telecommunications and Postal Services Regulation. From 2006 to 2011 he worked in the Urzad Komunikacji Elektronicznej (UTE, Office of Electronic Communication). For the first 3 months he was the acting Deputy Director of the Wholesale Market for Electronic Communication, and he was then appointed to the position of Deputy Chairman of UKE with responsibility for telecommunication and postal matters. 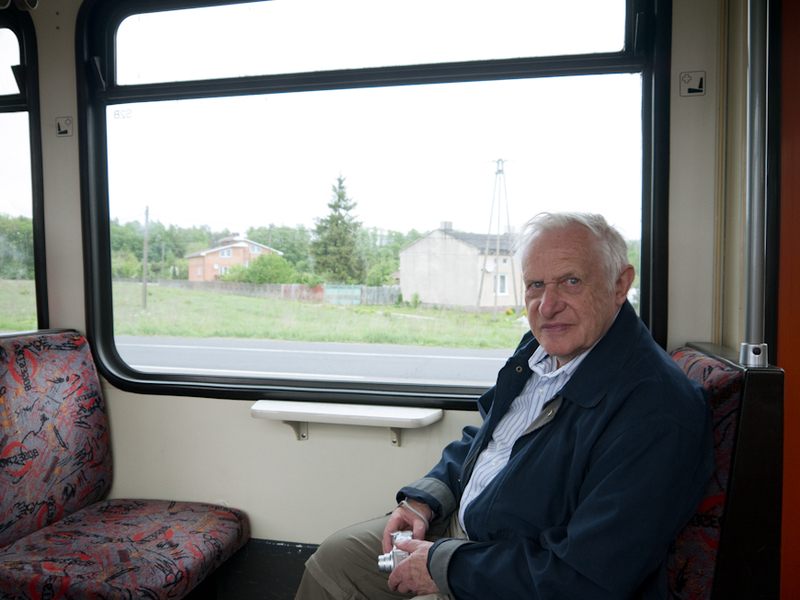 On 18 January 2011, he was appointed vice Chairman of UTK, by Cezary Grabarczyk, the former Minister of Transport. * The UTK announcement. Translation BTWT. Bialosliwie during the Zlot Milosnikow Kolejek 600mm in 2011. Photo Ed Beale. 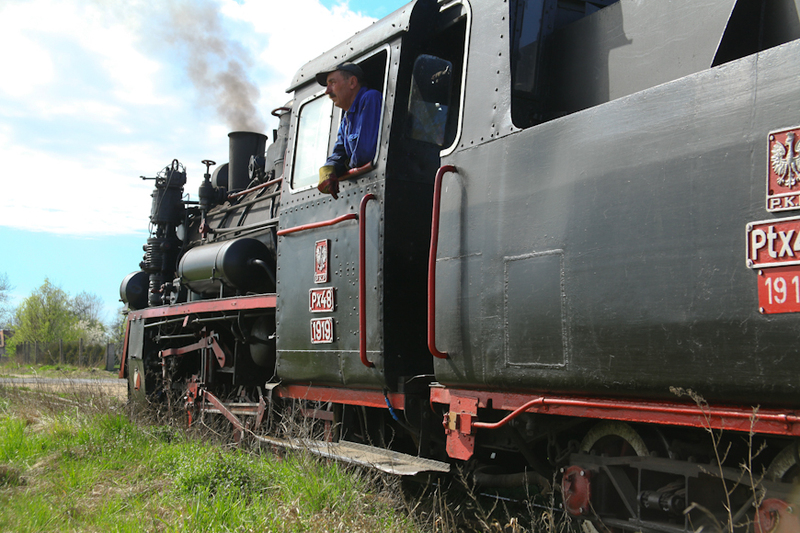 Following the success of the Zlot Milosnikow Kolejek 600mm (600mm Railway Enthusiast Rally) at Bialosliwie in June 2011, the event is to be repeated from 7 to 10 June this year. 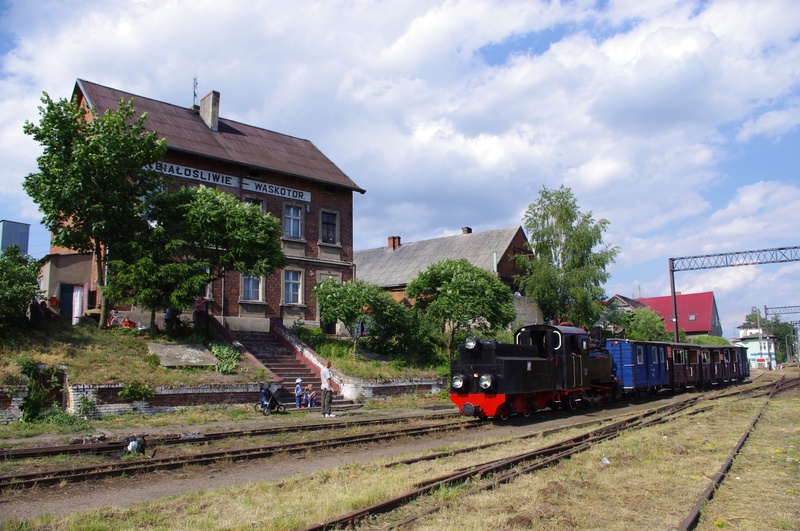 It represents a rare opportunity to visit and travel on one of Poland’s most elusive and fascinating narrow gauge railways. The plans for this year’s event are for public trains using visiting steam and diesel locomotives to run from 13:00 to 19:00 on Thursday 7 June and from 10:00 to 19:00 on Friday and Sunday. On Saturday, public trains will run between 09:30 and 11:00, and 15:00 to 19:00, with the official welcome and locomotive parade at 11:00, followed by a special train for invited guests only. In addition there will be catering stalls, book and model stalls, railway film screenings, a model railway exhibition, hand trolley rides, and shed tours. 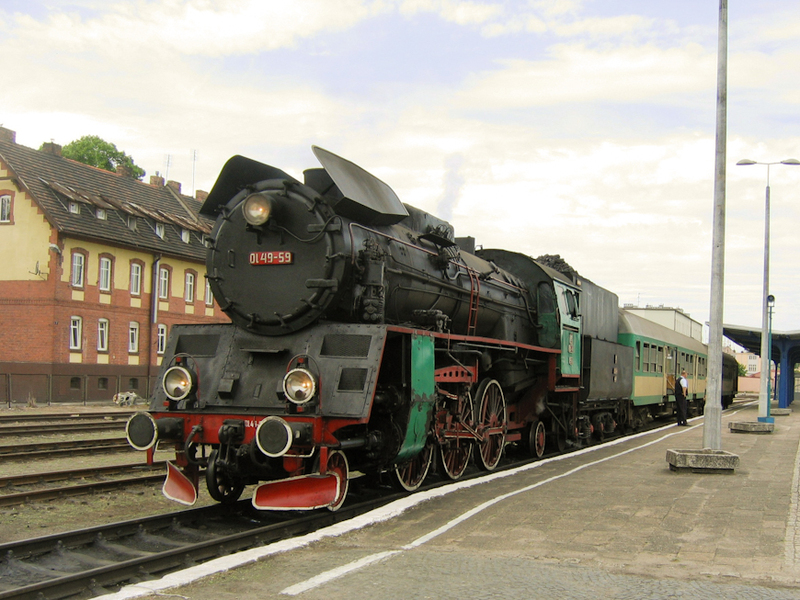 Two steam locomotives are expected to visit the festival, a recently-restored Las 0-6-0, and the Borsig 0-4-0 from the Maltanka park railway in Poznan. 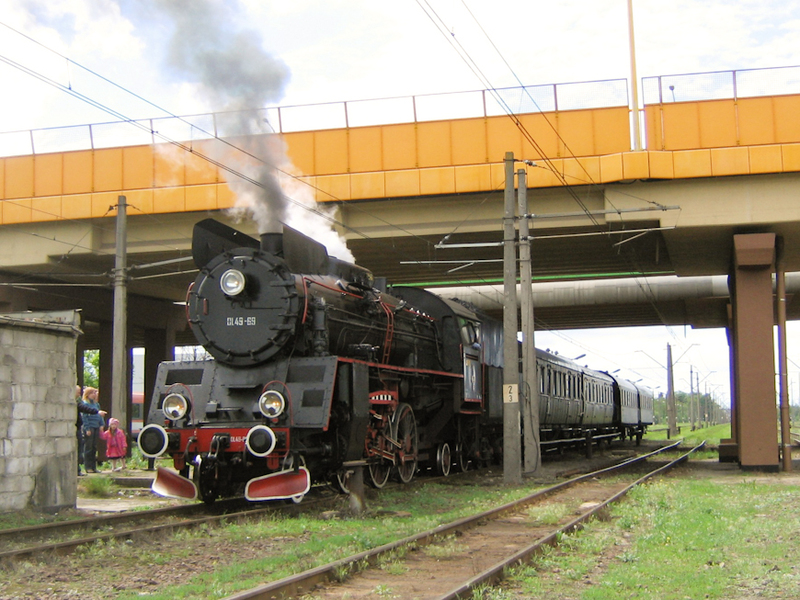 The Wyrzysk Local Railway was opened in February 1895. It was extended northwards and eastwards and at Suchary north east of Naklo it connected with the Bydgoszcz local railway, also of 600mm gauge. In 1949 the two railways were formally joined as one system, PKP’s largest 600mm gauge network at 256km long. 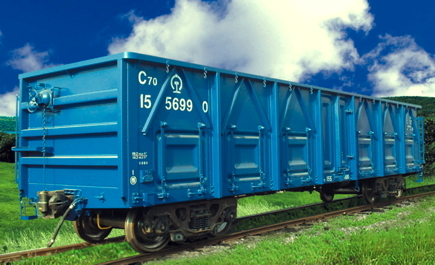 In 1955 the system carried 1,474,000 passengers and 256,000 tonnes of freight. The first branch closures began in the 1950s and lines were progressively closed in the 1960s, 70s and 80s, until final closure on 1 January 1994. In the last few years the Bialosliwie line was freight only, and sugar beet and coal were carried in 600mm gauge wagons into the 1990s. 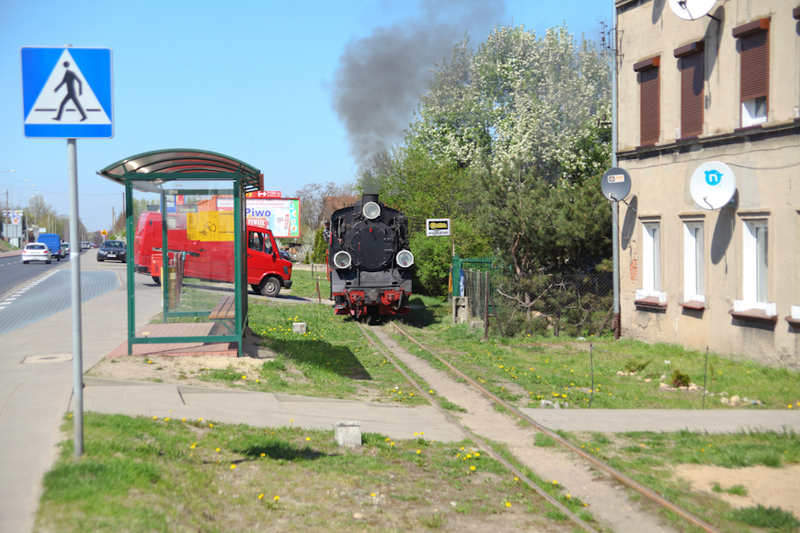 Bialosliwie is relatively close to the German border and the survival of such a large 600mm gauge system did not escape the notice of enthusiasts there. In 1992 just a year prior to closure, a remarkable series of special trains was organised by Hermann Schmidtendorf, co-founder of InterLok Pila, in partnership with JS Rail film production and rail tourism agency IGB. These trains traversed the entire surviving network from Bialosliwie in the west to Koronowo in the east, including a crossing of the spectacular viaduct over the Brda river at Koronowo. The viaduct had not seen a train for years and a special engineering inspection had to be made to ensure it was safe before the train was allowed to use it. The viaduct still exists today and is part of a foot/cycle path. Steam hauled freight trains ran onto the tracks of the private railways at Naklo sugar works and Gadki brandy distillery. The film made during the event remains unpublished. If any readers would be interested in purchasing this on DVD, please send an email to Hermann Schmidtendorf, redakcja [at] kolejwizja [dot] pl – if enough interest is received this film material will be published. Hermann is also gathering expressions of interest for a second unpublished film made in the same year at the Witaszyce 600mm gauge railway. Excerpts from this material can be found in this recent edition of Kolejwizja. 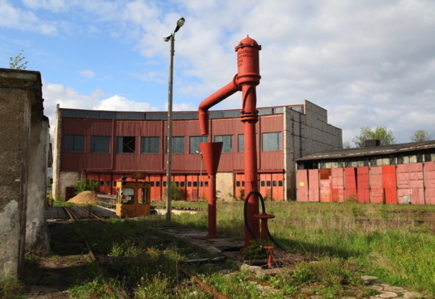 The Bialosliwie railway existed in a legal limbo following closure. 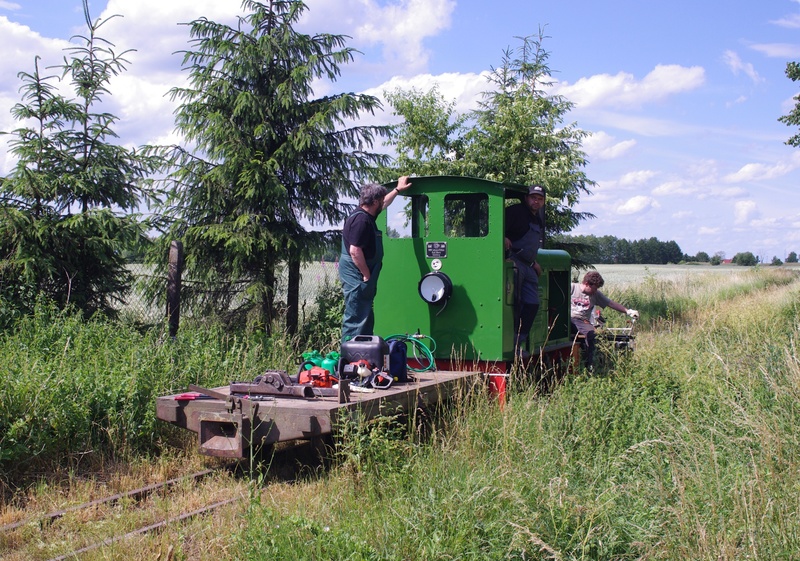 The local enthusiast group Towarzystwo Wyrzyska Kolejka Powiatowa (TWKP – Wrzysk District Railway Society) maintained the Bialosliwie sheds and the first 3.5km of line to Kocik Mlyn but were unable to run any public trains. 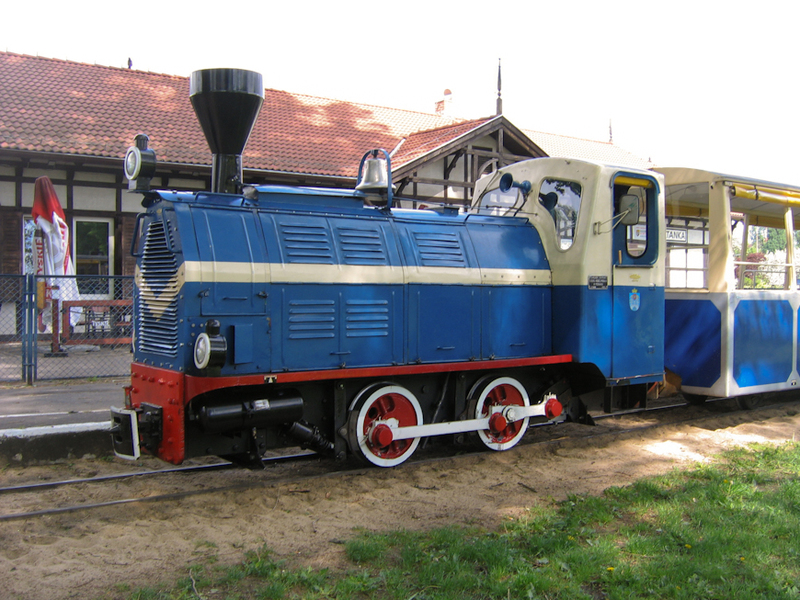 In September and October 2000, and again in April 2001, the Poznan model railway club organised a series of trips from Bialosliwie to Lobzenica using the Borsig 0-4-0 steam loco which is normally based on the Maltanka park railway in Poznan. In 2009 Pila District Council were finally able to take over the first 12km of the line between Bialosliwie and the crossing of the A10 road north of Niezychowo from PKP and TWKP were able to commence operations over the cleared section of track. Kipplore works train near the A10 road crossing. Photo Ed Beale. In 2010, Pila county signed a three party agreement with TWKP and Peter Erk, the owner of the 600mm gauge railway FBG Ilmenau in Germany. Peter is one of the partners of the Kipplore German 600mm gauge enthusiasts group’s annual festivals, and he convinced the group to hold their 2011 festival in Bialosliwie. 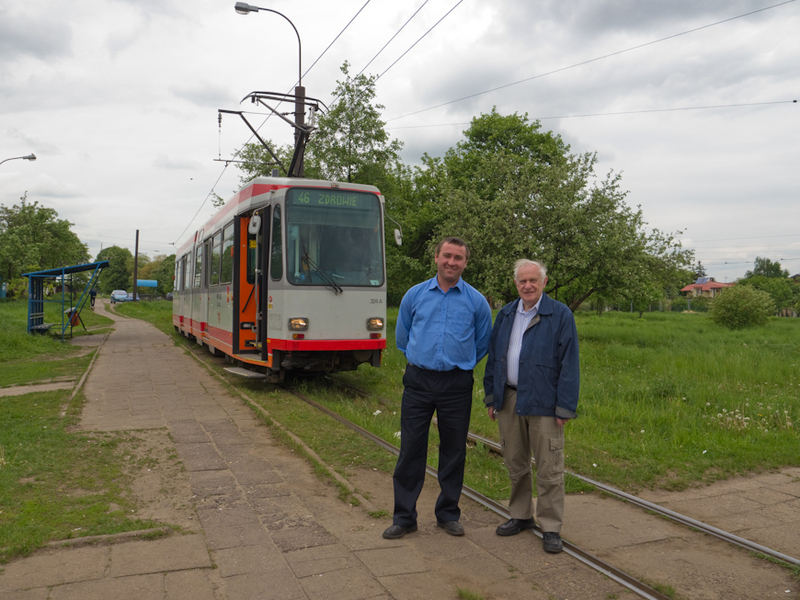 Several of this group then visited Bialosliwie for week-long periods to cut down weeds, dig out crossings and repair broken rail joints, and by time of the Kipploretreffen festival in June 2011 they had restored the line all the way to the A10 road crossing. In the meantime, TWKP had decided to hold a special event targeted at Polish enthusiasts and local people over the last few days of the week-long Kipploretreffen, and so the first Zlot Milosnikow Kolejek 600mm was born. Px38-805 ‘Leon’ which had previously worked at Bialosliwie, was brought in from Znin for the event, and the Kipplore enthusiasts brought an Orenstein & Koppel steam locomotive, around ten small industrial diesel locomotives and draisines and a battery tram from various locations in Germany. The festival found additional support from the local EU co-financed development group Nadnotecie and the Foundation for Polish-German Cooperation amongst others. PKP PLK cleared weeds from their standard gauge track, the regional passenger operator Przewozy Regionalne agreed to reduce the speed of all their trains passing the festival grounds during the festival and blow their whistles, and InterLok, the Pila-based steam loco repair workshop, checked and repaired some of the passenger carriages so that they could be used again. Many thanks to Hermann Schmidtendorf for help in preparing this article. The approach tracks to the new underground station at Warsaw’s Okecie airport. Still from KolejTV video. On 19 May, Poland’s Prime Minister, Donald Tusk, accompanied by Transport Minister, Slawomir Nowak; PKP SA Chairman, Jakub Karnowski; Warsaw Deputy Mayor, Jacek Wojciechowicz; and PKP PLK board member, Andrzej Pawlowski rode on a special train from Warszawa Stadion to the brand new station at Warsaw’s Okecie airport. The Prime Minister declared that he was pleased that passengers arriving at the airport will be able to board a train of a similar standard to which they would find in London or other European cities. Mr Nowak added that a day earlier PKP PLK received authorization to operate over the airport spur and that trains would definitely be running over it from 1 June. BTWT’s analysts were somewhat surprised at this news, and even more so when diligent searching failed to uncover any further information about the event on any of the press release pages of PKP SA, PKP PLK, or SKM. 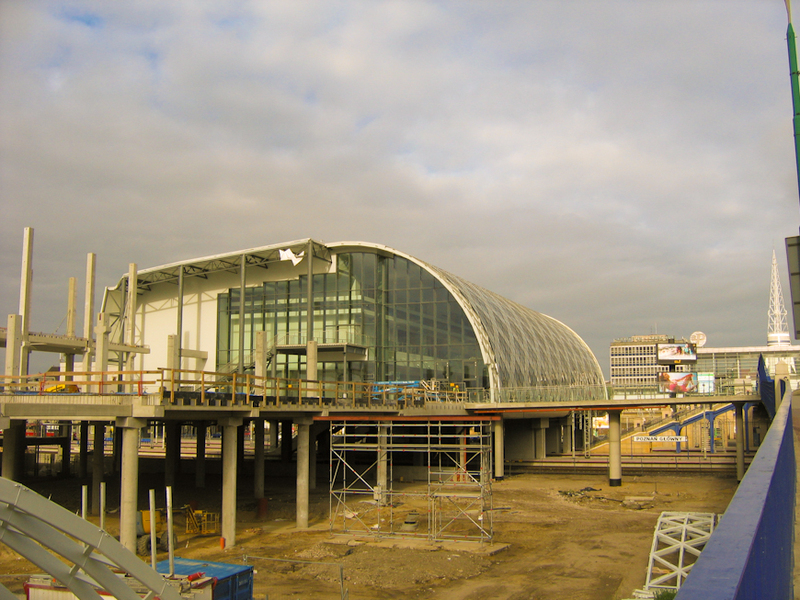 As test trains had only started running a month earlier, the commissioning of a new railway line, which includes an underground station, in 4 weeks would surely constitute a new Polish record? Rzeczpospolita, Poland’s newspaper of record, only carried a brief note that football fans will be able to travel from the airport to Warszawa Stadion in 30 minutes and that this was personally checked by the Prime Minister. The only news source that we could find that included details and pictures of the event was Rynek Kolejowy. RK’s headline was somewhat tongue in cheek, Premier z wizyta, Okecie z pozwoleniem, which translates literally into English as ‘The Prime Minister visits, Okecie with a permit’. Of course the comma here is all important, without it RK readers might have thought that the PM arrived at Okecie with the permit in his pocket. Given the absence of Warsaw Mayor, Hanna Gronkiewicz-Waltz, and acting PKP PLK Chairman, Remigiusz Paszkiewicz, some unkind souls might have thought that the event had been hastily arranged by the PM’s office in response to criticism from opposition politicians that preparations for Euro 2012 are far from complete. This of course is utter rubbish as is the suggestion that Krzystof Dyl, acting chairman of the Polish rail regulator, UTK, and tipped as hot favourite for the permanent post, may have allowed his career plans to influence the speed with which the airport line received its certification. 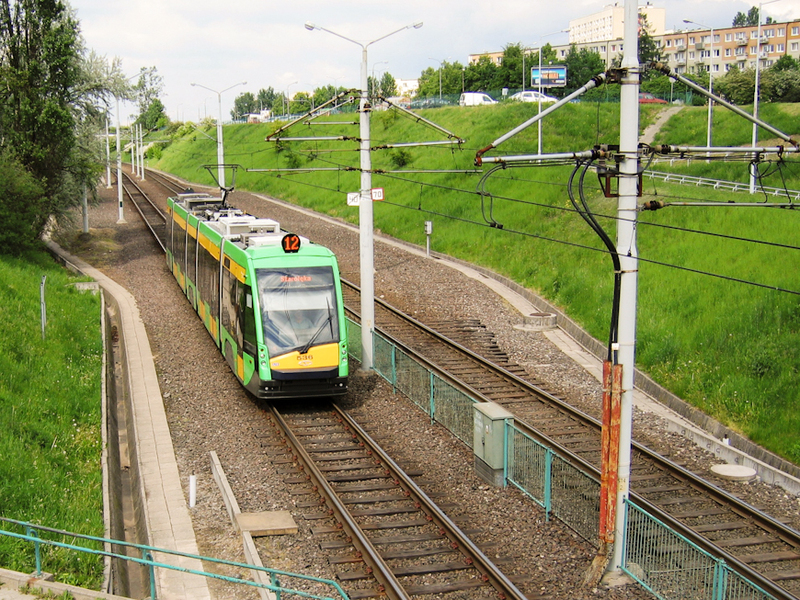 The KolejTV video includes: cab footage of test train running over the new airport spur; a brief clip of the new station at Bochnia; an extensive report about the 52 million zloty rebuild of Warszawa Stadion station; an evacuation exercise in the cross-Warsaw rail tunnel, Tunel Srednicowy; and steam and diesel operation on the 600mm gauge Kolejka Parkowa Maltanka in Poznan. 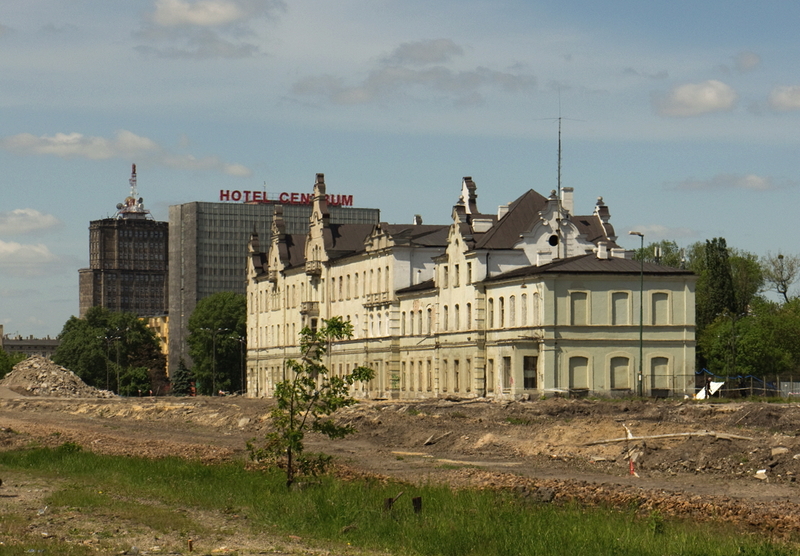 Lodz City Hall wanted land for development. Unfortunately no one thought it necessary to keep the trains running. Photo BTWT. Stripped of its external clutter Fabryczna has returned to its original glory. Unfortunately soon memories will be all that will be left. Photo BTWT. 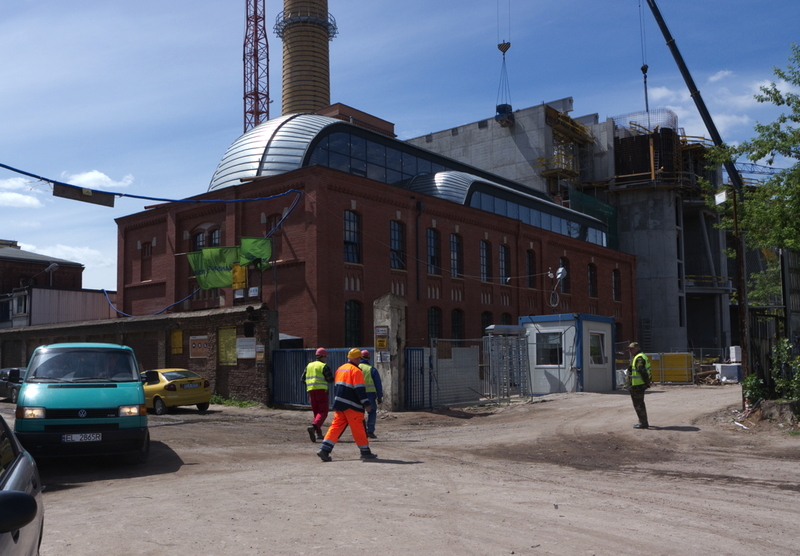 Across what were once railway tracks Skanska are hard at work converting an old power station into an art gallery. 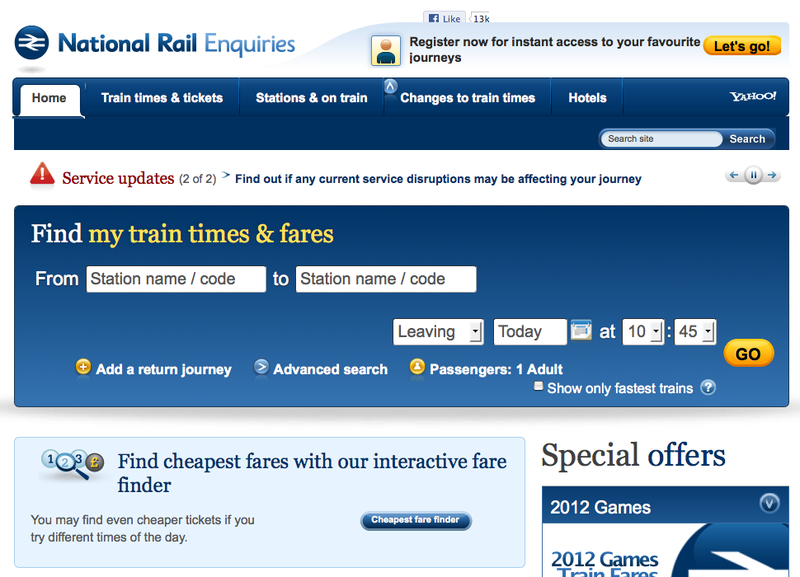 Pity about the railway station! Photo BTWT. Alerted by a PKP estate department’s tender for the sale of items from the erstwhile ‘skansen’ at Elk, John Savery leaves his car at home and travels by Wizz Air and TLK to photograph the remains. How do I get to Centralna without getting wet? Photo John Savery. I have regularly driven to Poland in recent times, my hands-on involvement in the preservation scene here makes carrying tools and equipment easier and more practical. I had not used Wizz Air’s Warsaw flight for about 5 years, however a bit of research showed that this was the best way of getting there. A late evening departure from Luton meant a 23:00 arrival at Okecie and, despite knowing Warsaw well, I opted to pay the extra and use the Wizz Air bus connection to the centre of town. Okecie is still being modernised, and seems huge compared to what it was like when I first used it back in 2000. Despite the Euro 2012 championships being less than a month away, like many other projects, the airport still needs some finishing touches, and parts of the arrivals hall are still fenced off. Leaving the terminal building and following the contradictory directions for the connecting bus, I decided discretion was the better part of valour, and took the liberty of phoning the helpline number for the driver. After a reassuring person told me that there would be someone with me in 8 minutes, there followed a 30 minute wait, and several more phone calls before I finally found myself in a Wizz Air taxi on the way to the centre. 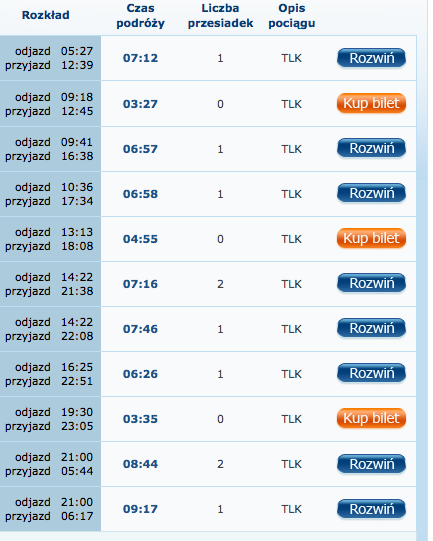 Next time, if there is a next time before Wizz locate to Modlin airport, I will take the 175 bus! 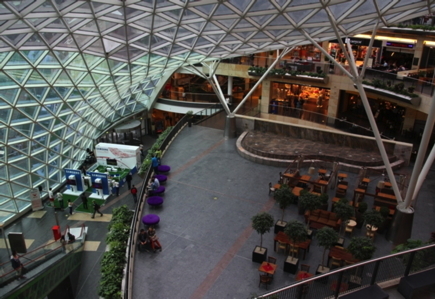 Zlote Tarasy interior. Photo John Savery. A central Warsaw hotel provided convenient accommodation, close to Centralny station, however breakfast was not provided in the price, and being unwilling to part with the extortionate fee of EUR 20 for the privilege of eating in the hotel, I decided to do breakfast on the hoof or on the train. Walking around to the station, the area has changed considerably since I last visited, (although I have kept apace with developments through Michael Dembinski’s excellent Warszawa Jeziorki blog) and the partially completed Zlota 44 tower now rivals the other buildings around it. Not wanting to risk a long wait at the ticket office, I opted to buy my ticket first, and joined the back of a fairly quick moving queue at the ticket windows. It is pleasing to see that there were common queues for multiple ticket windows, much improved on the previous system of choosing a window and finding yourself behind an awkward or complicated request, although for the life of me, I could not work out why there were two queues each leading to half the windows. 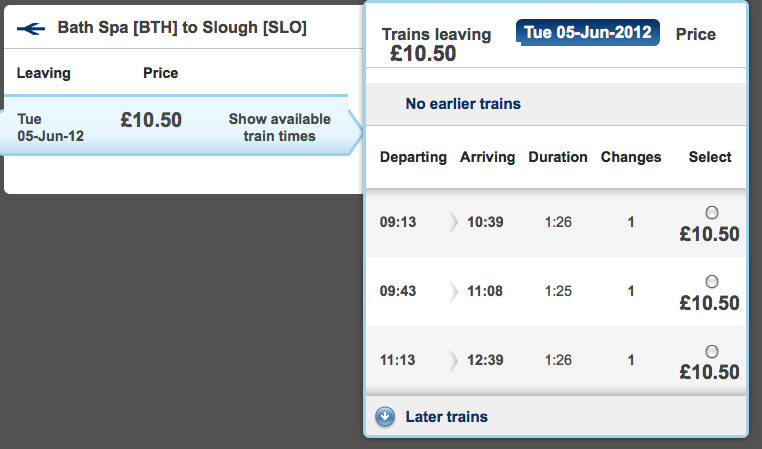 With an internet printout of the train I wanted in my hand, the purchase of my ticket was swift. With that completed in less time than anticipated, I wandered back through the bus station to Zlote Tarasy, the Eden Project style shopping mall opposite, to find food for the journey. Better information and signage. Photo John Savery. 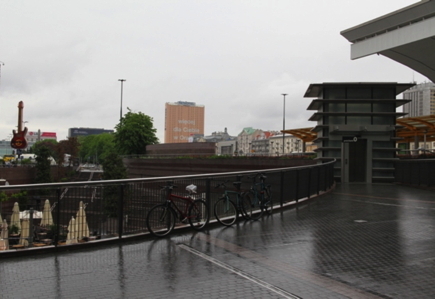 Warszawa Centralna is greatly improved following the facelift. 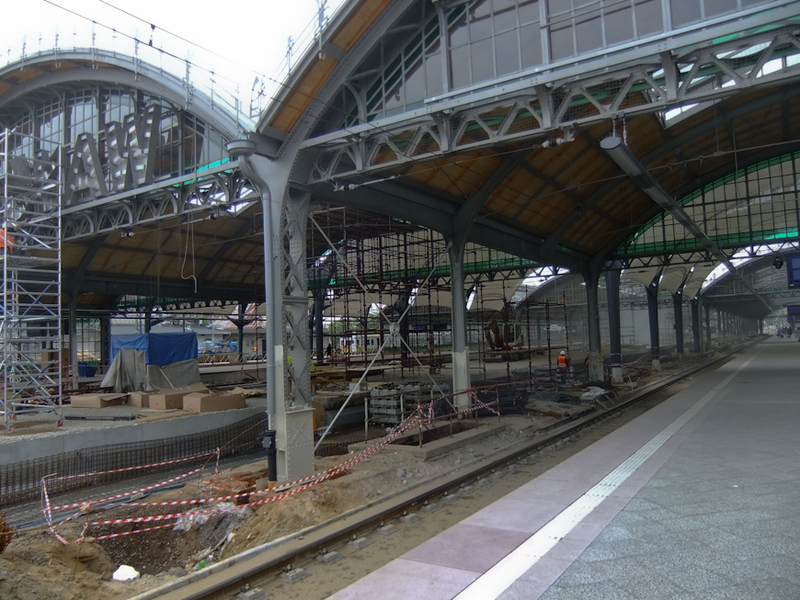 Lighting and ambience are better, and gone are the dark entrances to the platforms. Like the airport, I would be amazed if it is complete by the time the football starts, but at least it has taken a big step in the right direction. I have always been wary around Centralna, and despite living in more dangerous places, it is the only place where I have nearly been pickpocketed getting into a train. The improved lighting helps the atmosphere. 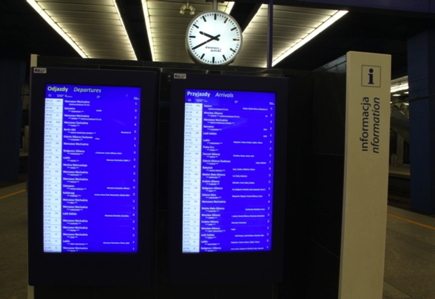 Platform information is adequate, with departure listings on the digital screens at platform level, however the individual platform screens are not utilised well, with confirmation of the train only being put on the platform screen at the last minute. This results in a last minute rush of passengers to the platforms. The TLK itself was comfortable. I opted for first class, more expensive but more roomy, and there was only one other person in my compartment. Striking up a conversation it transpired that he was from Lodz. The conversation turned to what I thought of Poland now as to compared to what it as like when I had lived here previously, and the state of manufacturing in the UK. With the bar car conveniently located in the next coach, I sat back with a coffee and watched the Polish countryside roll by. SU45-168 takes over the train. Photo John Savery. On arrival in Elk, I wandered down to the front of the train to see the loco being changed. 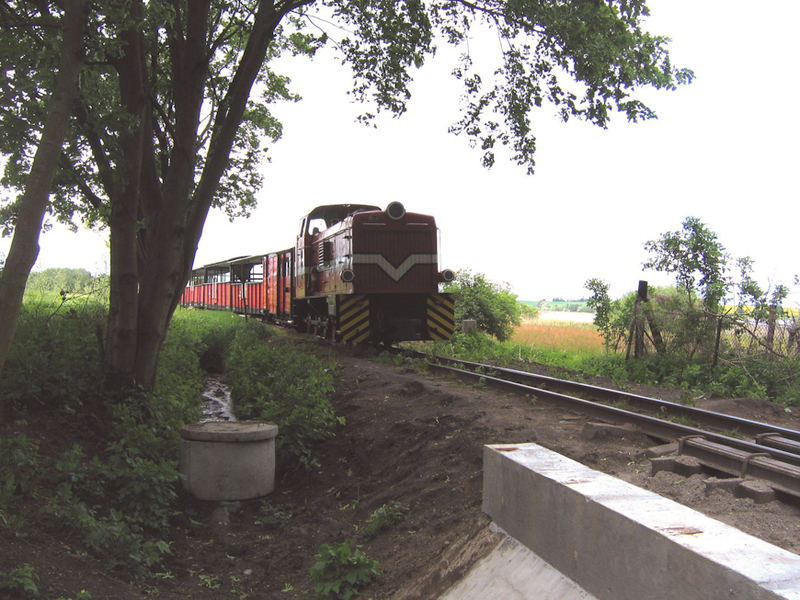 EP07-456 giving way to SU45-168, which would take the train forward to Olsztyn. The narrow gauge railway is immediately opposite the station on the opposite side to the town, however with no obvious access, (and no signage) I wandered down the road immediately opposite the station to my hotel for the night. 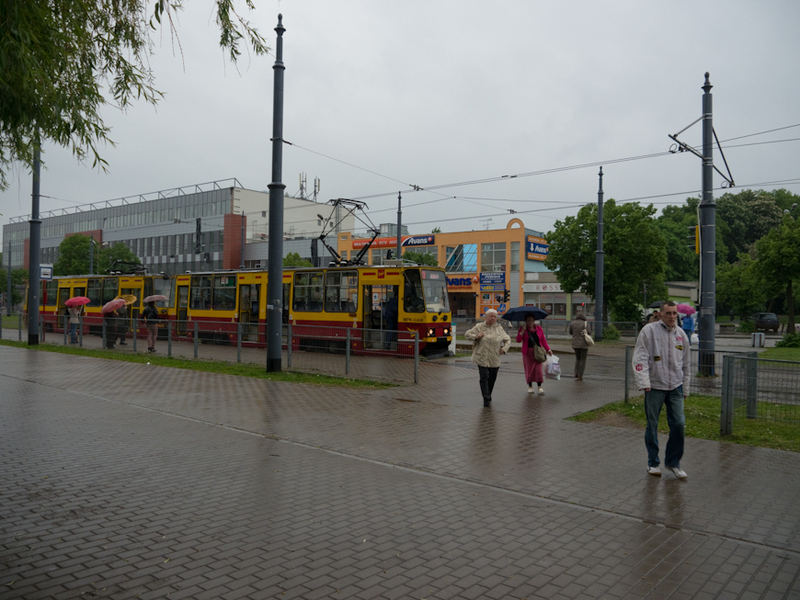 The Rydzewski was reasonable, and importantly had a town map on reception, so after dropping my bag in the room, I retraced my steps under the leaden skies towards the station, followed the road under the under-bridge and into the narrow gauge area. Elk could make more of its narrow gauge railway. The signage was woeful, only a small sign near the entrance was visible. Walking unchallenged through the security gate I set about exploring the yard. N.g. coaches recently touched up. Photo John Savery. The narrow gauge coaches were parked neatly in the station, and the area itself was kept tidy. Grass was kept in check, and the line’s Px48-1752, which although cold, looked as though it had been recently steamed, with fresh ash in the pit. 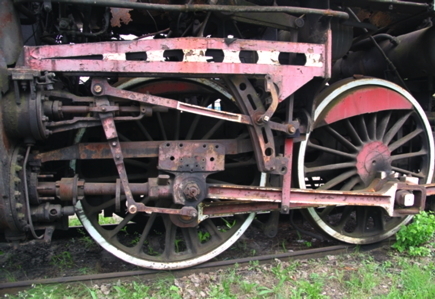 Elsewhere in the yard, SM42-002, one of the items on PKP’s tender list stands forlorn; next to it lie the remains of what appear to be a set of wheels which have been crudely cut from the axles – it wasn’t possible to tell what they were from, however they looked suspiciously like pony truck wheels from an Ol49. Nice grass, pity about the locos. Photo John Savery. There are two standard gauge locos on the adjoining tracks, Ol49-11 and Ty2-1285. Both have been heavily stripped, with hardly a single item inside the cab. The connecting rods of the Ol49, along with some of the axle box covers on the tender were also missing. Both are in dire need of a coat of paint to protect them from the elements, however, this is the very least of the concerns from them. Theft of further components appears to be a real risk despite the narrow gauge area being fenced off and having steel shutters at the entrance. I took a wander over to the ticket office, as up to now, I had not seen hide nor hair of anyone else, and found it locked. How many other potential customers have wandered in and out without paying? However, this also meant that I could not view the small museum inside either. Wanting to see more of the standard gauge locos that were stationed around the former roundhouse, I set off towards the standard gauge tracks. 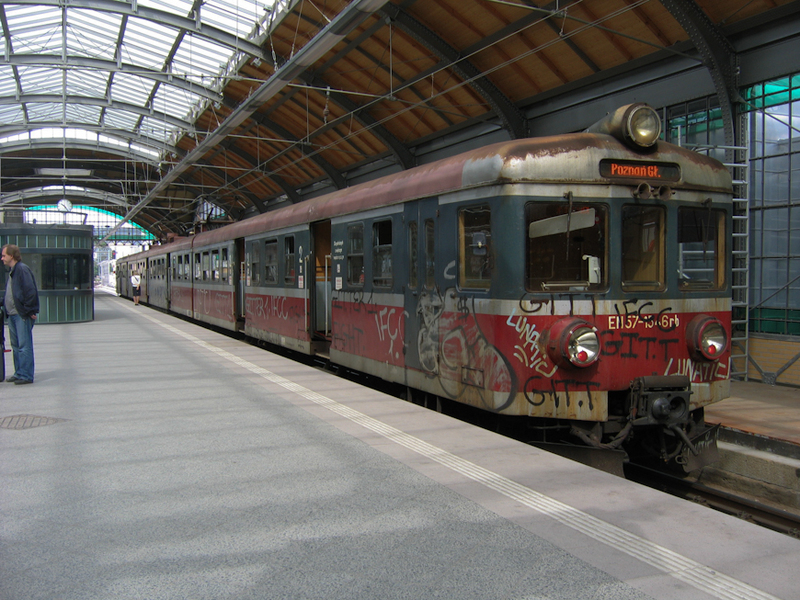 What a railway museum this could have made if only PKP and the local council could have reached agreement. Photo John Savery. The first two locos that I came across were Ol49-80 and 102. Both were plinthed on a separate section of track next to what appeared to be living accommodation in coaches. Ol49-80 holds the dubious distinction of probably being the only Ol49 to be fitted with a satellite dish! 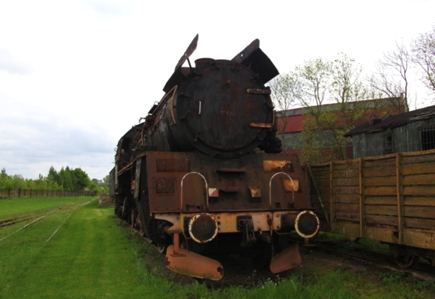 That, and its appearance on PKP’s auction list may not bode well for the loco’s future. Whilst most of the motion on the side closest to the station appeared intact, metal magpies had again been at the bearings, and the crank and con-rod bearings had been stripped from the fireman’s side of the loco. The cab had been stripped bare, with even the firebox doors missing. Ol49-102 was in a similar state. Being on a separate section of isolated track, coupled with the removal of key components may make it extremely difficult to move either of these locos. The fact that the tender and loco are listed separately on the auction page would seem to suggest that they are trying to generate as much money as possible from the sale, and it doesn’t take a genius to work out that the scrap man may be interested. Blacksmith forge awaiting scrapping. Photo John Savery. 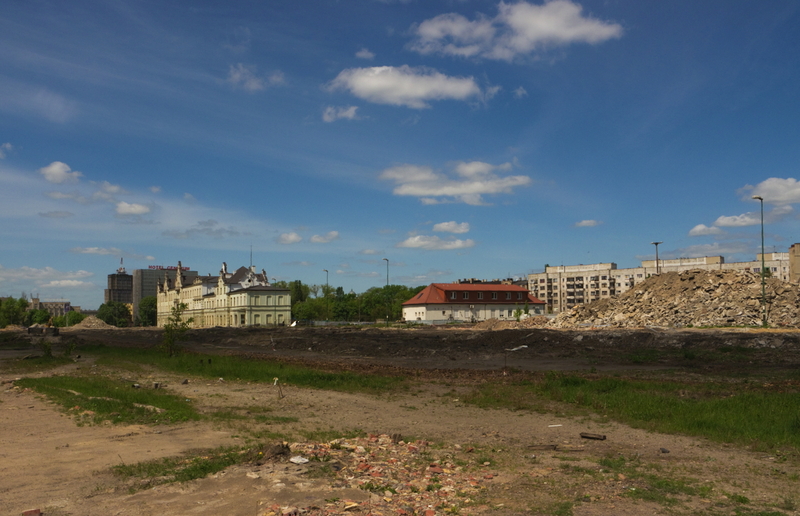 Elsewhere on the site, demolition is in full swing. Spying through a chink in the modern section of the roundhouse, industrial sized skips are present, as stripping continues. 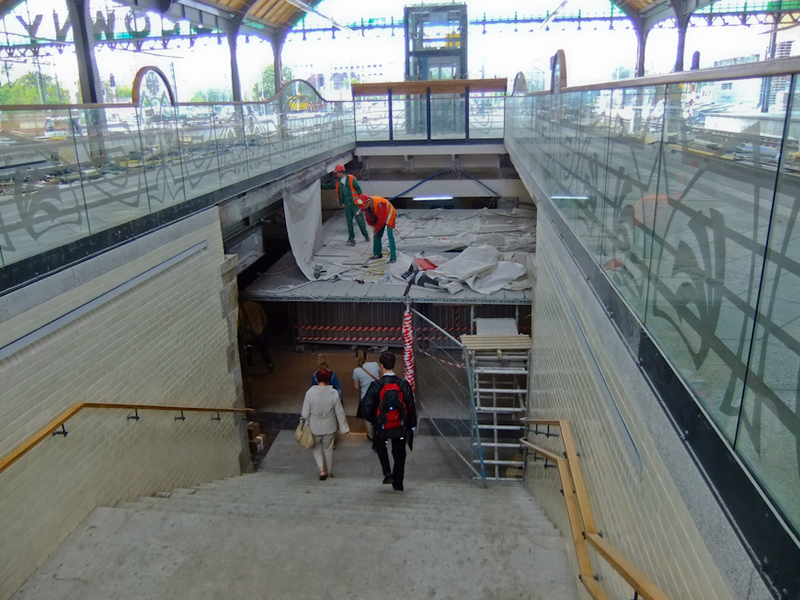 This is clearly a place in its death throes, with contractors moving in with the axe. In the older part of the roundhouse, which again, is secured to deter intruders, a tiny chink in a door reveals Ty2-1279. 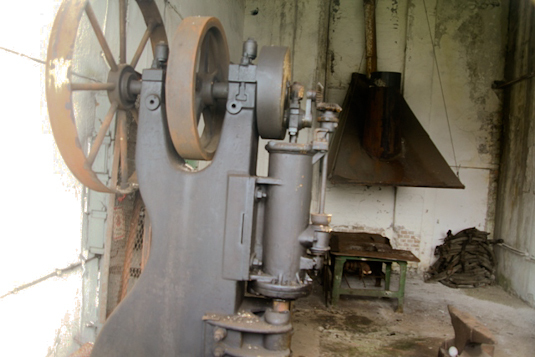 Alas, this too has been the victim of theft, and despite not being able to get close to it, it is possible to see that the crank and con-rod bearing have been taken from the side that is visible. With the shed all but abandoned, it is probably as easy for a thief to work under the cover of the shed, as it is for them to work outside. The roof of the shed looks anything but secure. Daylight spews in through blatant cracks in the planking and felt roof, its sieve like properties must do little to protect the interior. 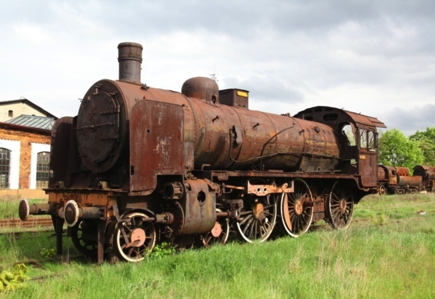 How much longer before these locos are quietly scrapped? Photo John Savery. Despite probing, I am unable to access the shed, and turn my attention to the remaining engines in the yard. Aside from a small diesel shunter, the yard contains two Ok1’s and three Ol49’s. All are in abysmal condition, stripped to ex-Barry hulk status. All have motion missing to some degree or other, and one, Ol49-61, has trees growing in its tender. Exploring some of the others is risky business, and I tentatively worked my way around the cabs, probing gently at the wafer thin metal of the cab floors, ensuring it was load bearing before taking each step. Ok1 waiting for rescue. Photo John Savery. Walking back to the hotel, I pondered on the question raised by Gary Boyd-Hope in this month’s Steam Railway magazine. Is the breaking up of steam locomotives acceptable in the 21st Century? The question appears to be rhetorical. To some people it is. Locomotives that were once complete are being taken apart piece by piece, by thieves and others until they no longer have a future or purpose. At that point, it is easy to call the scrap man in to take away an eyesore, or to cash in on the value of the scrap metal asset that exists. Take a piece of precision machinery and leave it out in the open for Polish weather and metal thieves to do their worst. Photo John Savery. One thing is for certain. The remaining locos at Elk face a very difficult future, and I would be amazed if the majority are not lost in the coming years.